People who had the chance to visit Cancun knows that our beaches are the most beautiful in Mexico and are worldwide class, the unique colors of the sea, the purity of our ocean, the soft and warm sands are the perfect scenario of a dream wedding. Just picture yourself and your loved one standing in the smoothness of the sand, while the breeze of the sea caresses your faces, in a lovely and warm sunset holding hands at the most important day of your life, side by side with your dearest people enjoying together everything that the Mexican Caribbean has to offer. But a lot of people are constantly asking, where is the best season to have a wedding in Cancun or Riviera Maya, the true: it depend on your needs. First, it´s super important that you know the hurricane season for Cancun, Playa del Carmen, and Tulum last approximately between June and November, the weather can be so unpredictable these months, but the hard times are August and October, the rainy season, when a hurricane can happen and mess up with your vacations, but don’t let your plans be ruined by a couple of months, the ideal time to get married in Cancun is on fall season, the prices are low and the weather is more predictable so you can have a better planning for your special day. The high season in Cancun, it´s the hottest, expensive and with people everywhere. If you want to get Married on this season, you have to book at least three months in advance, your room, your wedding date and your activities. Instead of budget concerns, your biggest issue will be crowds. This is particularly the case in March and early April, when Cancun becomes a hub of spring break activity. So we don’t recommend it at all. Living in the tropical place can be so difficult, yes we have one of the best beaches in the world but the weather in the fall time sometimes is unpredictable and here, we are constantly exposed to heavy rains and hurricanes, but don’t worry, here you will find some useful tips for planning your fall wedding and help you pass almost every trouble, so you can have the best fall beach wedding. The advantages of getting a bridal package in the slow season are more important than you think because having fewer people available to reserve, the prices go down to 70%, meaning less people who are going to get a destination wedding on the location that you want, this means that you can choose the day and the time in which you want to get married instead of being subject to a tight schedule, there will be less curious people around in your photography session or in you background pictures ruining your precious memories, did I forgot to mention that you will have better opportunities for booking the honeymoon?. 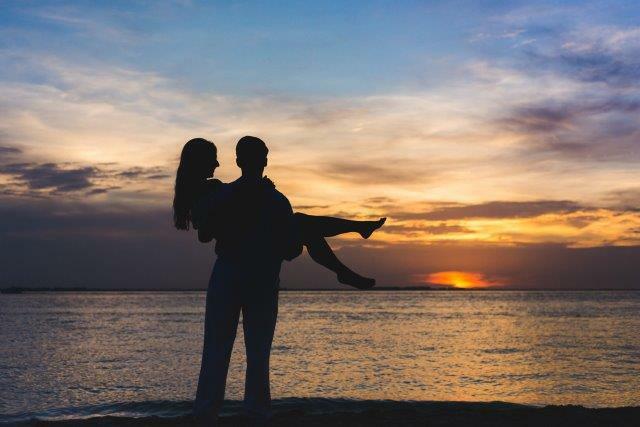 Check out the packages wedding deals and extras in general, you could get an upgrade on your package, a romantic dinner with candles at the beach or the best honeymoon suite for a lower price. The big agencies form both tours and travels are likely to have big discounts for you and your loved ones, so be prepared for all looking the best deal. The fall in the Mexican Caribbean begins at the end of the rains brought by the hurricane season creating a cooler and more pleasant cloudy environment compared to the rest of the year, this means that you will not have to worry about being sweaty in your wedding dress also your guests will thank you. Despite the cloudy weather of the season may bring occasional rain, it is not something that a little planning can´t fix. Hire local wedding experts, they have been planning events in the Caribbean for some time, they know what they do so give them your trust, they will advise you how to dress and make up so you look stunning in your photos, after all they also want your dream wedding to come true. The Weddings for this month of the year are very popular among locals and visitors, this is because it has some magic attach to it, the beach tend to be more beautiful, the activities are funnier and the food more delicious. The weather in Cancun, Playa del Carmen and Riviera Maya in December is in general wonderful, it’s warmer than almost all the cities of the State, the pool and the ocean are a little chilly, but is easy to get used to it. Your guests will appreciate the weather on your wedding party. The days are not that hot and actually you can walk outside in daytime and not get burned to a crisp. We recommend to come and get married the first days of December because the climate and you can get lower prices compared with the Christmas and New Year weeks when it could be almost double price. Beside the hotel zone gets very pretty with all the decorations from Christmas. Try to schedule the day of your wedding because more couples are trying to get married on this month, and it´s very important to do it with time. January and February are a bit colder than December, it’s a good time to go to Cancun too, but almost always the people has preference for December. The best season for a wedding in Cancun goes from the last days of October to the first days of December. In fact, November is the favorite month of many brides to carry out their weddings on the beach, since, in addition, the landscapes for the photos are perfect and is November off season too. And if you are looking for the best wedding photographers in Cancun click here, we will be happy to help you.